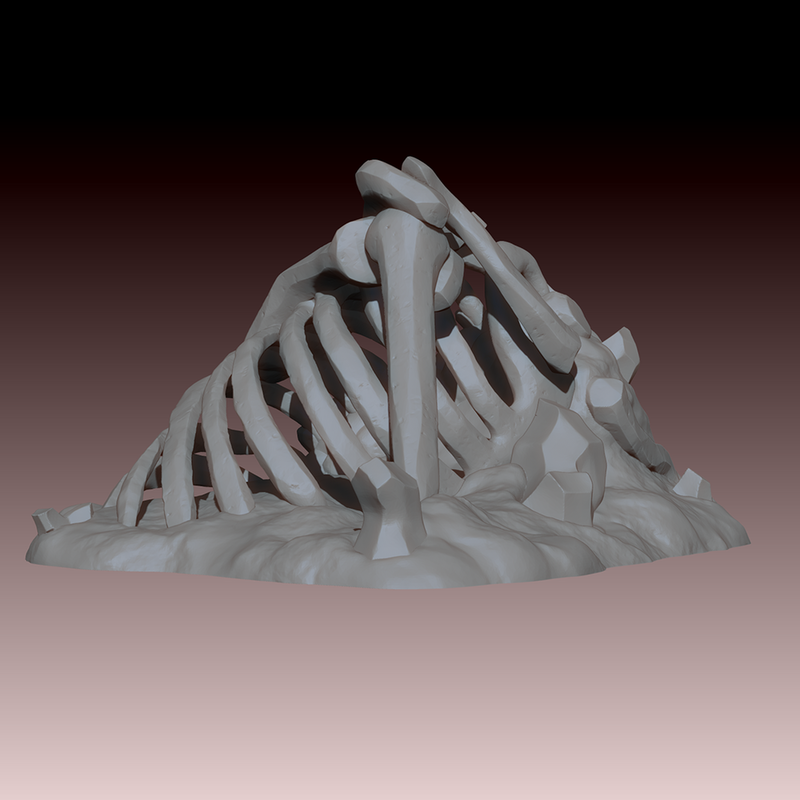 Bellow you can see the Rib Cage skeleton terrain base model. This, along with the other 2 base models will come in 4 themes. We also have some images of the sort of additional props and details that will be added to the cultist themed terrain. The Cultist theme will be 1 of the 4 themes available for this terrain! 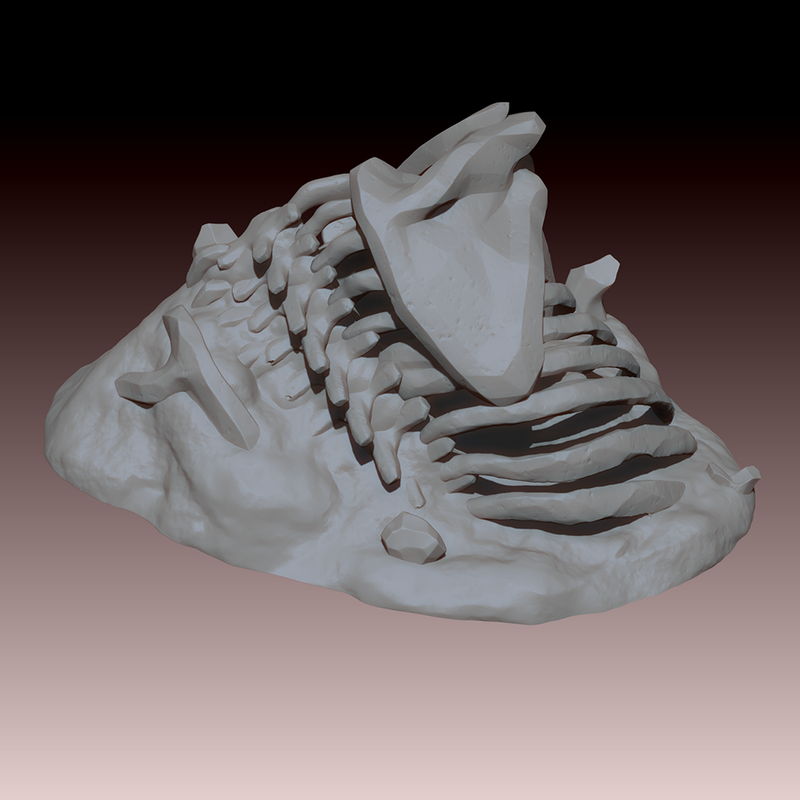 Over the next week we will be working on the other themes and the 4 creature miniatures that will accompany them so keep an eye out for our future updates!